Superstar stylist Swankyjerry is rocking a limited edition 18 thousand dollar Louis Vuitton jacket. American superstar French Montana sounded the same orange and brown jacket for his new video. Only 2 people in the world have this jacket. It was first carried by former Harlem drug leader Alpo in the 90's, followed by the French who carried him in July. 2017. Kelly handsome has revealed that he recently lost his grandmother. According to him, she died after the Ekeukwu Market was demolished. John Legend has opened up about his marriage to Chrissy Teigen, his masculinity, and fertility struggle. Adding he said, while growing up most especially around older people there were parts of him he was scared of revealing. ‘I think you’re always policing yourself by trying to do what you think would be ‘cool’ and accepted by other people, until you start to figure out who you really want to be. ‘Growing up is an ongoing push-and-pull of you being yourself and you performing to what society expects you to be. I think the end product ends up being some kind of composite of these two factors.When asked about how he and his wife, Chrissy express their feelings well and communicate openly. ‘There’s no problem with openness in our relationship. You know Chrissy. She doesn’t hold anything back! ‘I’m quite reserved, but being with someone like her inspires me to be open about my emotions. She brings them out of me because she’s so open about hers.’ He further disclosed that they have been trying to have another child. ‘I think it’s especially difficult when you can’t conceive naturally. Ohhhhhhh MG ... Toke Makinwa is makes us green with envy in this avant-garde ensemble. She is on set of her highly anticipated movie MMS. 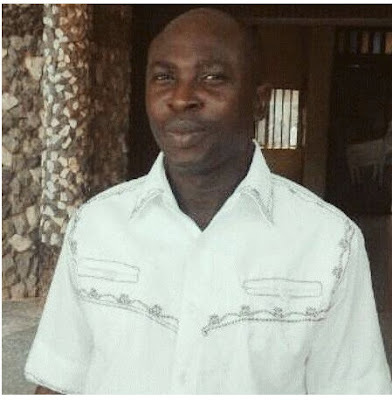 According to reports that made the rounds online, Mr. Ogah Onwe Chinedu, a lecturer in the Department of History and International Relations at Ebonyi State University, denies the EBS Senate because he is allegedly convicted of so many allegations against him. A student from the school said: All sir Ogah Onwe Chinedu is to sleep and treat powerful girls with power to fail them if they refuse to obey him. 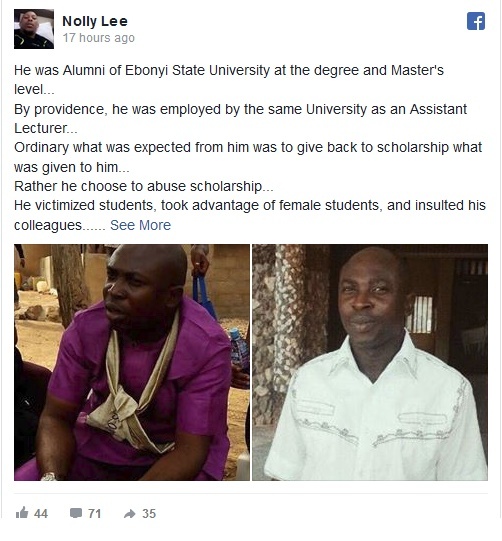 He was previously sued by HIR students, but one Dr. Uche Okonkwo and some other lecturers in the department have asked forgiveness on his behalf, but he is about to do the same thing again. He hides people's project subject just to delay them to go service if you are not in good terms with him. " Nadia Nakai Slays in @fashionnova at Mercedes Benz Fashion Week Joburg 2017. Mr B, a Turkish man, condemned his original roots and legacy and declared himself a Nigerian in a new video! Mr B says he is from Mbaise, Imo stands and he never goes back to Turkey! LOL! Choi! And many Nigerians wish they could only appear and appear in Turkey again! 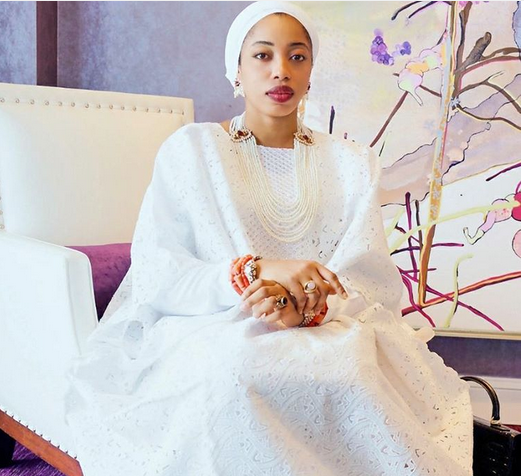 In August 2017, Olori Wuraola Zaynab Otiti Ogunwusi, the estranged wife of Ooni from Ife (Oba Adeyeye Enitan Ogunwusi) became a respected queen to a single maiden with all sorts of rumours that hover around her as her 16-month marriage turns into history. In 30 days, the house formerly envied by the royal couple is subject to gossip that they are trying to discredit. In many ways, August 2017 has been unkind to the beautiful Queen . 1. She was given a 30-day ultimatum to move his palace things. As his problems multiplied and the marriage suffered mortal wounds, Ooni gave his wife a 30-day ultimatum to remove his personal belongings from the palace. This ultimatum was in the early days of August. And once the ultimatum was issued, His Highness Zaynab Otiti Obanor left the palace. 2. The meeting at the Lagos airport on Saturday, 12 August 2017 exposed its crisis to the world. When King and Queen gathered at Lagos Airport on their way to a wedding in Abuja and were ignored, the marriage mess intensified and became public. 4. Chief Olusegun Obasanjo was visited on Tuesday, August 15. And a third out of their families was invited to hear all the unpleasant details between husband and wife. 5. Olori Wuraola removed his personal effects from the palace on Saturday, August 19 and Sunday, August 20. And the information leaked to the press as details of a $ 25,000 bedroom set that reportedly bought in Lebanon and was not allowed to be removed was well documented. The disorder of the stage irritated those who preach good form. 6. She visited the hospice of Hearts of Gold on Sunday, August 20 in Masha, Surulere (Lagos), but it became a public relations disaster. The release of images of children on social networks bothered Mrs. Laja Adedoyin who was led to believe that the visit was private. And the clarification that the money promised to the hospice and 19 other houses in the concert of February 24 Day was still to be redeemed added to the misery. 7. Distance from payment to 20 households on Tuesday, August 29. Olori Wuraola had to distance himself from being the cause of the delay in giving checks to the homes. Apart from saying that only 10% of the promises have been redeemed, he posted on his instagram page that Oduduwa House is responsible for the disbursement. 8. She confessed to the collapse of marriage on the morning of Wednesday, August 30. Today, Olori Wuraola Zaynab Otiti Ogunwusi returned to her maiden name and admitted that the marriage had packed up. The revelation exposed the lies fed to the press that the marriage was large, strong and enduring. 9. She is trying to pick up the pieces of her life in Abuja, where she plans to start over. This August has been frantic in the life of Olori Wuraola as events unfolded in torrents, disrupting her life and forcing her to start over. 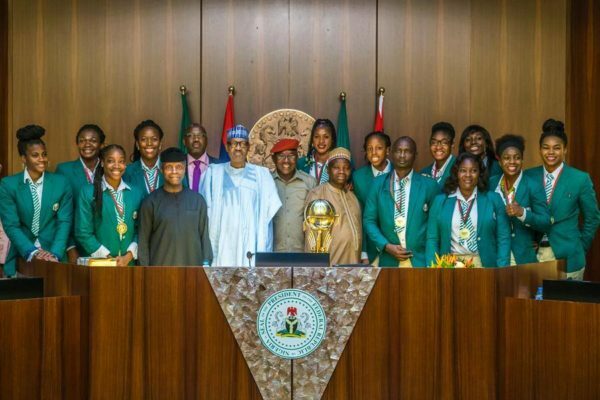 President Muhammadu Buhari hosted the Nigerian women's basketball team (Tiger), champions of the Afrobasket FIBA ​​2017 shortly before the meeting of the Federal Executive Board (FEC) Wednesday morning. The president gave N1 million each to all members of the team and N500,000 each to team officials as reward for a successful competition, reports The Cable. D'Tigress emerged champions of the Afrobasket Women's FIBA ​​2017 tournament on Sunday after winning the 8 games they played in the tournament. He defeated Senegal 65-48 in the final to win the title. 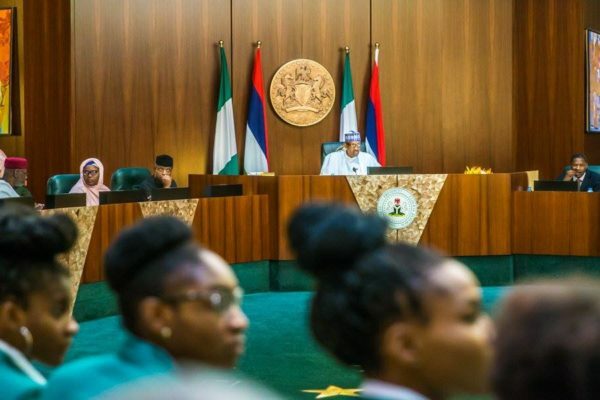 Buhari made the announcement at the start of the weekly FEC meeting Wednesday, which is the first to attend since his return from medical leave in the UK. Team captain Aisha Mohammed said the president's cash reward would encourage them to win gold at the world championships next year in Spain. Alani gives a peek at her brand new collection she's releasing in collaboration with Lord and Taylor. Set include bomber jackets, denim jeans, hoodie dresses, denim and more. It's a ladies' line of lots of shapes and sizes, from 0-24. A cute bomber goes for $ 120, her jeans range from $ 78- $ 88 and hoodie dress is $ 98. The Lagos State Commissioner of Police, Mr. Fatai Owoseni, on Wednesday said he was not aware of the appointment of a new police commissioner for the state. Owoseni told newsmen at the Lagos State Police Command, Ikeja, that he was yet to receive any directive concerning a new police commissioner in the state. “When we get the information, we will let you know,” Owoseni told journalists, in reaction to reports of his reassignment, which was published by some online media organisations. A Senegalese vlogger, Assane Diouf living in the United States has been deportd from the country. He is known for posts on YouTube and his outspoken criticism of both President Macky Sall and Senegal's religious and political authorities. Mr Diouf, who says he supports Macky Sall's predecessor Abdoulaye Wade, is among a number of Senegalese citizens to have been kicked out of the United State because of their status as illegal residents. Senegalese police have confirmed on local radio that Mr Diouf is being held by criminal investigators in the capital, Dakar. Rivers State Governor, Nyesom Ezenwo Wike on Wednesday swore in 14 commissioners. The governor also swore in a new permanent secretary, Mrs Ibiware Ogolo. Commissioners sworn in are: Emma Okah, Charles Nwogu, Walter Ibibia, Dr. Tam Jaja, Ukel Oyagiri, Isaac Kamalu and Albert Miller. Others are: Boma Iyaye, Emeka Onowu, Prof. Princewill Chike, Tasie Chinedu Nwobueze, Sylvanus Nwankwo, Prof. Kaniye Ebeku and Rodaford Longjohn. Performing the swearing-in, Rivers State Governor, Nyesom Ezenwo Wike charged the commissioners to exhibit 100 percent loyalty. He said: “We demand 100 percent loyalty. This work deserves total commitment. When you have the opportunity to serve the state, it is a rare privilege. Therefore, you have to be committed to service. “Once you do your work, people will notice you and appreciate the quality of your service to the state. That is why you must continue to put in your best”, he said. “Don’t see your appointment as your time to eat because there is nothing to eat. You are appointed to work. If you cannot meet up with the tempo of the administration, just withdraw”, he said. Danielle Weeks has given birth to her daughter on Tuesday, few days after her family’s home was completely destroyed in Hurricane Harvey. She had fled the home in Port Aransas, Texas with her husband William and their home with their two toddler daughters last week before the tropical storm hit. The family, who had been staying in a hotel in Corpus Christi close to the hospital, had tried to return home on Saturday to see what damage had been done when they learned their home, a car and their RV had been destroyed. Days later, Danielle gave birth to the couple's daughter, Loralynn, in a scheduled c-section on Tuesday morning, ABC News reports. 'As long as she is safe, nothing else matters,' William Weeks said of their new daughter. He is calling her a miracle given the tragedy that has unfolded in the wake of the devastating storm. Ycee announced that he has completed a record deal with Sony Music. His deal with the music company has gone sour, as he called out Sony Music West Africa’s General Manager, Michael Ugwu, accusing him of trying to completely reap off his hardwork and sweat. Controversy sparked by American Gospel Singer, Tasha Cobbs song ‘I’m getting ready’ in which she featured racy American rapper, Nicki Minaj. “Oh yeah… Now I am ready… Swipe left to read it all.. Got a lot to share on this.. 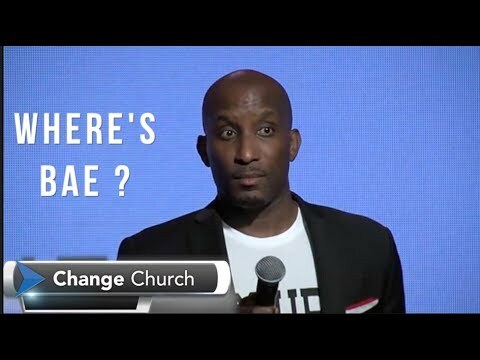 I had to create a note, took my time to write my thots and God sent ppl around me yesterday to give me more insight on this work of ours..Yes some Gospel Artists like @NikkiLaoye , Tasha Cobbs @tashacobbsleonard, @KirkFranklin, @TimGodfreyworld have a reason why we work with Mainstream artists to share the gospel. ….And here’s my ending note: “IS IT YOUR BLOOD THAT WAS SHED? Lol! Famous Lagos State Police Commissioner, CP Fatai Owoseni, has been replaced with Edgar Imohinmi by the Inspector-General of Police, Ibrahim Kpotum Idris. The new Lagos Police Commissioner reportedly led the operation which saw the arrest of Baale of Ipakodo in Ikorodu, following the gruesome murder of four family members at Ibeshe, Ikorodu. The operation also uncovered a shrine and graves in the area, believed to be the domain of the dreaded Badoo cult group. DailyPost reported that Imohinmi was only promoted to the position of Deputy Commissioner of Police in June this year prior to his recent appointment, while Chief Superintendents of Police Hope Okafor, Muyideen Obe, Bunmi Ogedengbe and Lawal Adebowale were promoted to Assistant Commissioners Police.